Warsaw is Poland's capital and the largest city in the country. After having been destroyed in WWII, it was rebuilt in a heroic effort of its inhabitants and thus got back its Medieval, Eastern European charm. With its mix between Stalinist architecture and the old, milk bars and modern nightlife, East meets West, this city first seems like any other European city...until it doesn't. There are numerous direct flights to Warsaw from a multiple of UK departure points on both low cost and scheduled airlines so it is easy to compare and book cheap flights to Warsaw now and find out for yourself how this beautiful Polish city is quite different from the cities you have seen so far! Poland has a very turbulent history. Parts of it even originally used to be German. Having always been oriented towards Western Europe, the country shifted between Eastern and Western rulers many times and was last under the influence of the Soviet Union until its dissolution in 1991. This resulted in an interesting and intriguing mix between Eastern and Western styles. One of the unique features of Warsaw are its many communist-era milk bars, which were originally created to serve cheap meals based on milk products. Get to feel how Poland was like in the pre-democratic era by getting a yummy and cheap meal in one of those bars. This is the most authentic Polish dining experience you can get. And don't miss trying some Pierogi - the traditional Polish dumplings! Of course, a stroll around the rebuilt old town is an absolute must as well. Take a coffee in the Old Town Market Square and then walk along Krakowskie Przedmiescie Street to the Royal Castle. Allow yourself some time to take in the picturesque scenery at the Castle Square (Plac Zamkowy) before paying a visit to the Royal Castle itself. In fact, this part of town was put on the UNESCO's list of World Heritage Sites as an "outstanding example of a near-total reconstruction of a span of history covering the 13th to the 20th century". This will make you marvel at the craftsmanship and effort put into the reconstruction even more. Just imagine that 70 years ago, this part of the city was in ruins! If you love museums and history, check out the Warsaw Uprising Museum about the Polish struggle during WWII. Also, the POLIN Museum will introduce you to the history of Polish Jews. Located on the site of the former Jewish ghetto, this is one of the must-sees in Warsaw. Due to an extensive metro, bus and tram network, it is really easy to get around Warsaw. Also, the old town is doable on foot! 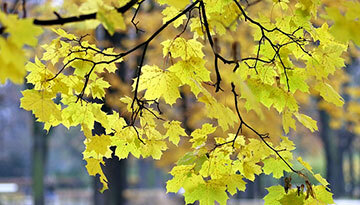 Visit Warsaw between May and September to benefit from warmer temperatures. However, even though it can get really warm in summer, you should bring a light jacket for the sometimes chilly evenings. 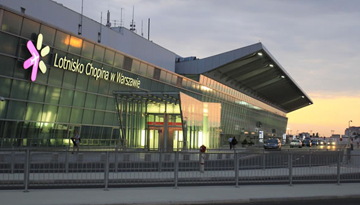 Flights to Warsaw from Stansted with Ryanair great fares from £62 return including taxes. 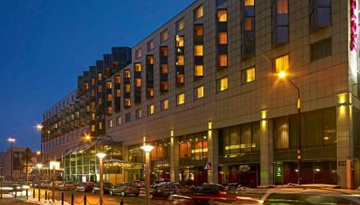 Hotel Mercure Warszawa Centrum is the best hotel to avail offers and book rooms at cheap rate. Fly from Edinburgh - Warsaw & Stay for 7 nights with 3 star accommodation. Room Only.